Oh toothbrushes! Many people underestimate them and ignore how important they are in the big scheme of things when we talk about oral health. I can’t stress enough the difference it makes brushing with a random toothbrush or the best toothbrush for you. But one thing I can say is that the gap it’s really huge, I’m talking about a world of difference here. Why using the correct toothbrush is that important? Just like toothbrushes, people come in all shape and sizes, this includes our mouth, teeth, gums, etc. what this means is that our need are different from others and to satisfy them we need a toothbrush that can cover all of them. And for this we need to take in mind some criteria when buying a new toothbrush. Where to find the perfect toothbrush? Basically any pharmacy or specialized dental store got you well covered in the toothbrush department but if you ask me I’d go to a pharmacy in Los Algodones. There you can find some nice deals in any dental products like toothpaste, dental floss, mouthwash, and of course, many, many toothbrushes to choose! Now let’s know some of the best criteria for buying a toothbrush that will help us to clean our teeth perfectly to pursue the bright beautiful smile that you deserve. They are very easy to follow and to remember, nothing too complicated or daunting, but as I said, it will make a huge difference the next time you brush your teeth. 1.- Observe the toothbrush’s bristles. 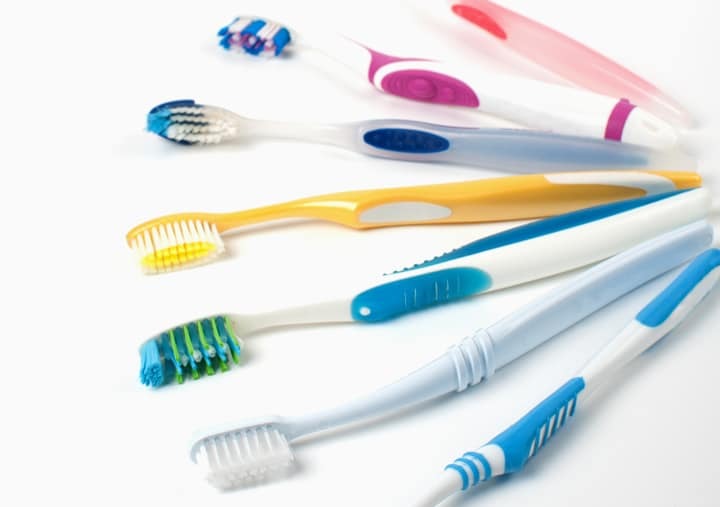 The bristles are one of the most important parts of a toothbrush because they make direct contact with our teeth. Selecting a soft bristle toothbrush will help you to clean your teeth real good and to avoid wearing out your tooth enamel. 2.- Feel the grip. Besides soft bristles you should evaluate the handheld of the toothbrush you are choosing because you’ll be using it several times every day. So it is pretty important that it feels good in your hand and that you don’t get tired of using it or feel discomfort in any way. 3.- Have fun! Ok, this is not really like a super tip, but it is a tip that can help you in the long run if you are the kind of people that gets bored easily or you are simply lazy or tend to forget things very often. Choose a toothbrush that you like, it can be for its colors, design or even brand! The most important thing to consider is to choose a toothbrush that you like and you see yourself using every day. You have to embrace it and enjoy it or you will find brushing every day a tedious chore and the chances are that you will neglect your dental hygiene. In most adults this is not a problem, bur for children and teenagers it’s pretty important to motivate them constantly. Getting a new toothbrush will help you, as I stated above, to improve your overall oral health. But if you learn to take proper care of your toothbrush you will improve even more! You can start by cleaning your toothbrush after using it to make sure it doesn’t get filled with germs and bacteria. After using your toothbrush, drying it carefully with a towel will also protect it from most germs. Aside from this, try to keep it in a fresh place and avoid moisture for the same cause, it can attract many germs. Finally, to help your toothbrush to do its job you can use dental floss and mouthwash after brushing to leave your teeth spotlessly clean. Regarding how many times you should brush, two times a day is enough, although you should remind that it is a good idea to brush your teeth after every meal. Did you know that you should change your toothbrush every 2-3 months? Well, now you know! Besides changing your toothbrush often you should also aim to pay a visit to your dentist at least twice a year to regular checkup and cleaning. That’s all for today, happy weekend and take care!